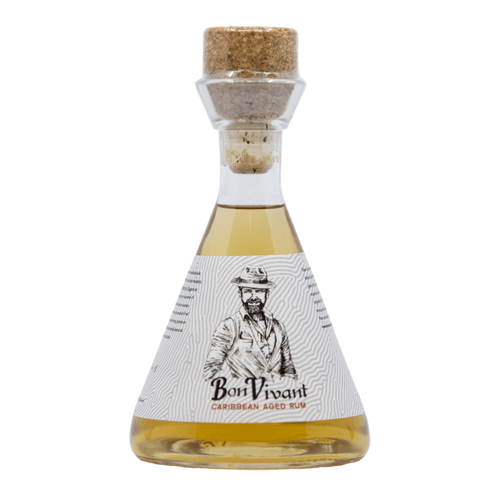 Bon Vivant Rum is a blend of four high-quality Caribbean rums that have been barrel-aged for at least 3 to 5 years. Elegant and pure, our rum is made without any added caramel or coloring. Notes of ripe exotic fruit are sweetly interspersed with floral aromas such as acacia honey, jasmine and vanilla. Bon Vivant Rum does wonderful service as a digestive or as a base for rum cocktails. Ideally suited to cocktails, but I also recommend it neat or on the rocks. Bon Vivant Rum in your shop?